Weekly animated video tablature, PDF tablature, and high quality backing tracks for all levels and genres. Joe Bonamassa is one of the best players to emerge in recent years. Taking a leaf out of Bonamassa’s book, this riff is played in strict unison with the bass. Apart from the slide in at the beginning, this needs to stay that way, especially during the accents in bar 4. This flurry through the G blues scale features wide and quarter-tone bends, with a legato feel. Bar 4 may feel a little out of the comfort zone at first, as it stretches a little out of the usual blues boxes. Persevere though and this will become second nature. Some challenging chords, but this Eric Johnson style jazz-blues progression is worth the trouble. Once the chord shapes are stored in your ‘muscle-memory’ it’s a lot easier! Use pick and fingers or pure finger-style to allow for the piano-like simultaneous notes. People sometimes don’t think of arpeggio playing as particularly ‘blues’. 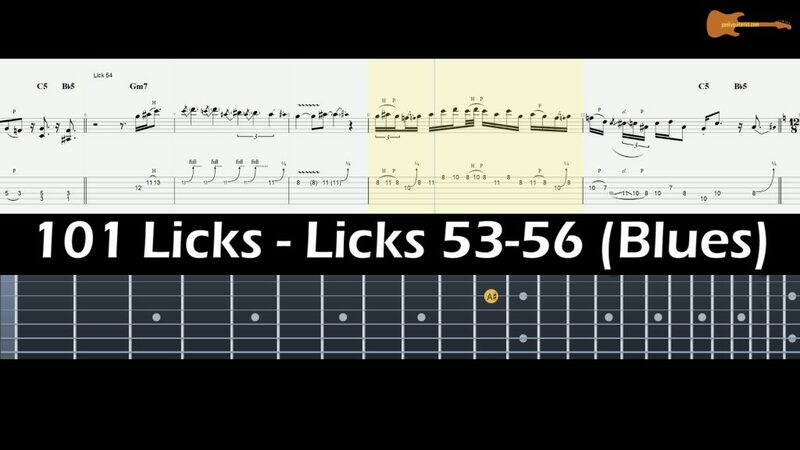 This lick may entail learning a couple of new scale/arpeggio-style shapes, but flows logically under the hands once learned. A thick fuzz-face type distortion (without too much gain) will get you in the tonal ballpark. great job...exactly what I was looking for...subscribed!! All content copyright © 2017. Website designed and built by my own widdle-tastic, finger-pickin' hands.